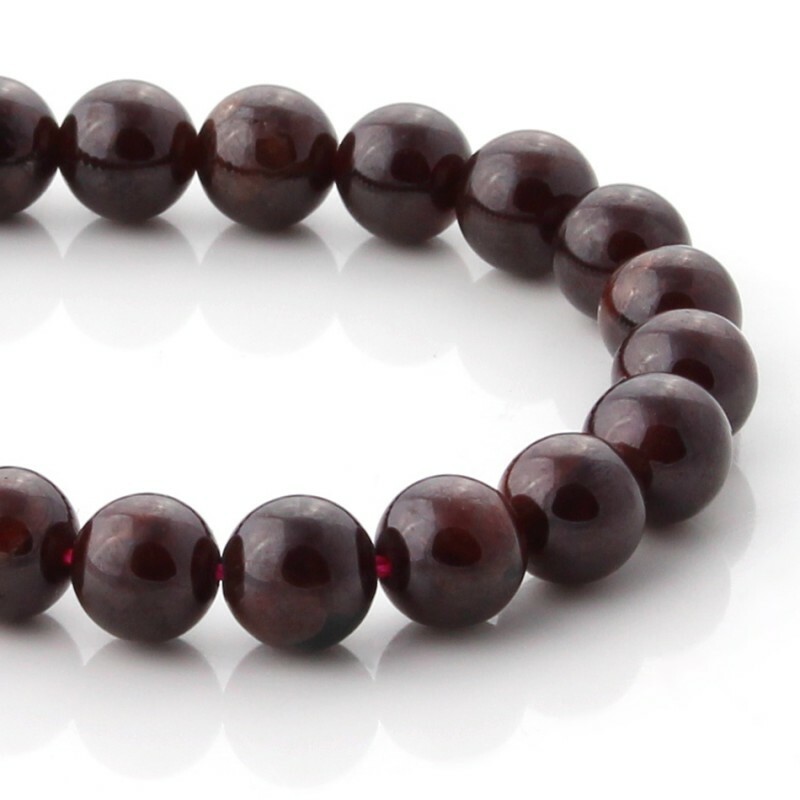 These Garnet round beads are characterized by their dark red color. They are perforated and enfiladas in strips of between 38 and 40 cm. The size of these small maroon spheres is 6 mm. 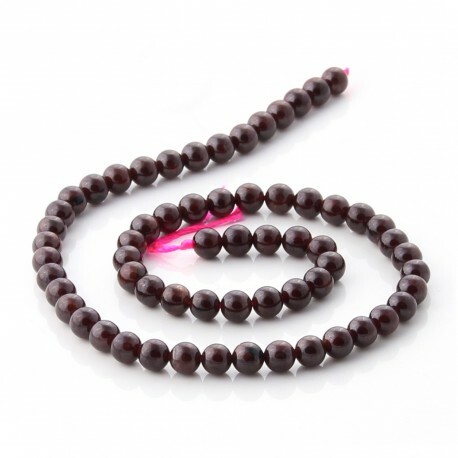 This type of beads is used to make accessories of costume jewelry, mixing other types of beads or adornments and acquiring unique designs.